- The bernette 38 is the top model in the bernette series. This computerized sewing machine offers a wide range of functions at an affordable price. - It offers 394 different stitches, including the stretch stitch for elastic fabrics. 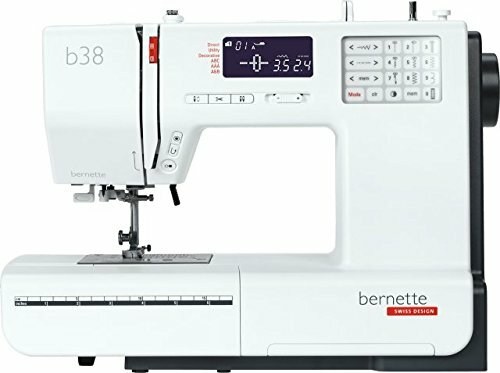 The bernette 38 also has eight different one step buttonholes and three alphabets.